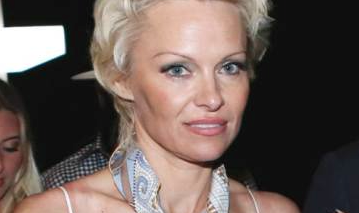 Pamela Anderson's mother feels shock and guilt after finding out her daughter was molested and raped in her youth. The brave actress opened up about the abuse for the first time last week, which mum Carol describes as shocking, terrible, dramatic and horrible. The distraught mother of Pamela Anderson had no idea the actress was molested and raped as a child. The former Baywatch actress insisted she didn't blame her parents for failing to protect her when she opened up about being abused for the first time at the Cannes Film Festival last Friday. But Carol Anderson says her daughter's revelations came as "a complete shock." The 46-year-old star's heartbroken mum said: "This is a terrible, dramatic thing to have happened to Pamela and if she went through that all by her self it is horrible. "I am kind of numb over it all, I sat there with my mouth open when I found out." She added to MailOnline: "My husband Barry and I always felt we were there all the time for the kids so it's just terrible to hear this now." Pamela, who only told her mother about the abuse she endured via email after going public, revealed she was molested by her female babysitter when she was six, raped by her friend's older brother when she was 12 and gang raped by her boyfriend and his friends when she was a teenager. Police in the blonde beauty's native Canada have launched a new investigation into the alleged crimes and want to speak to Pamela, who remarried her ex-husband Rick Salomon earlier this year and has sons Brandon, 17, and Dylan, 16, with her ex-husband Tommy Lee, as soon as possible. The iconic bombshell credited her love of animals for helping her to move past the horrific ordeals, as she launched her new animal welfare charity, The Pamela Anderson Foundation. She said: "My affinity with animals saved me." Sometimes parents are often the last to know, it also speaks of her mothers relationship with her daughter, did you not sense something was amiss with her in childhood? smh she's been through a lot and I hope she can have some peace in her final days. knowing how Cancers hold on to the past I hope she's been able to resolve the bulk os her traumatic past and embrace her future. she has to choice to create a reality of peace and tranquility and enjoy whatever time she has here left.